Workers in many occupational sectors – including manufacturing, mining, construction, transportation, and emergency services – often perform their jobs while exposed to high levels of occupational noise. Long-term exposure to noise can result in both hearing loss and stress-related illness. Noise Induced Hearing Loss (NIHL) can be addressed with the implementation of a Hearing Loss Prevention Program (HLPP). 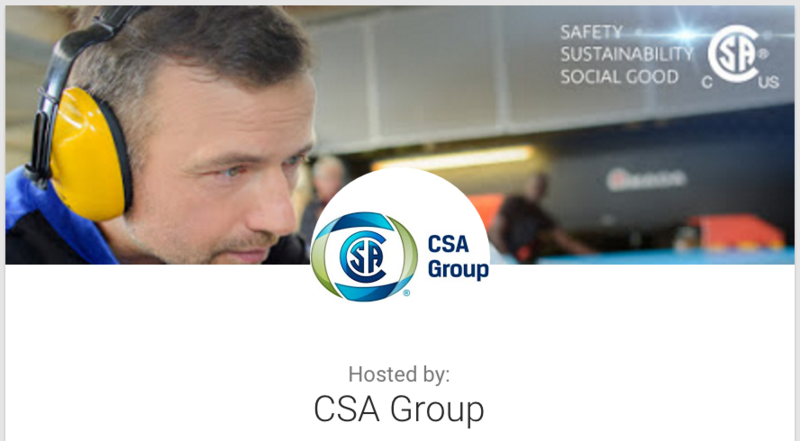 CSA Group has developed several standards that can help. This presentation will introduce the NEW Z1007 Hearing Loss Prevention Program Management – the first standard of its kind – which covers all aspects of creating and managing an organization’s HLPP, as well as review the important changes to the latest edition of Z94.2 Hearing Protection Devices. Your presenter, Jeffrey Goldberg is Chairman (formerly CEO) of Custom Protect Ear Inc. and the Director of Marketing and Public Relations for the National Hearing Conservation Association, in addition to serving as Chair of the Technical Subcommittee that wrote Z1007. Jeffrey will explain the content in Z1007, the changes to CSA Z94.2, and the cross-content between the two.